For 12 years, Will Queja worked as a chef for Four Seasons, Hualalai, leaving early in the morning and returning home late in the evening after his children were asleep. 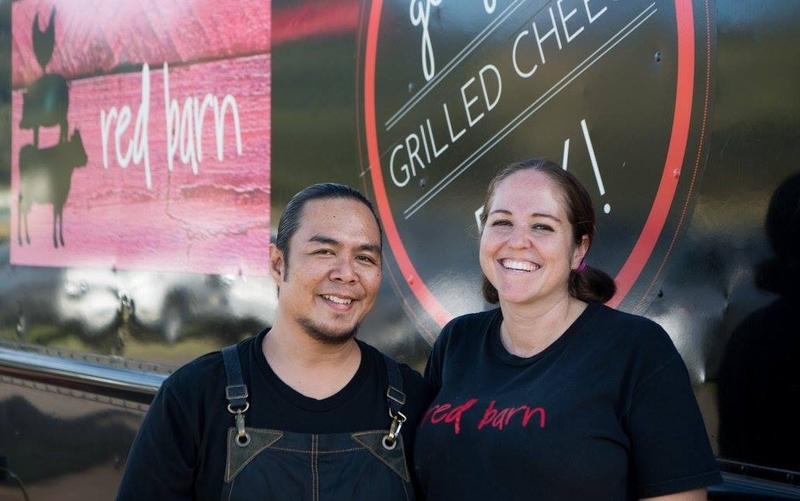 After much thought, Oueja and his wife, April, made the adventurous decision— he should leave the resort and start a food business of his own in order to spend more time with his family. 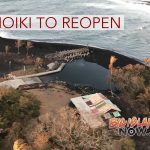 After submitting their idea of breakfast burritos to the Waimea Farmer’s Market at Pukalani Stables, the Oueja’s met with some resistance and opposition. They had a week to create a new menu with a completely different twist. When it comes to feeding people comfort food, loving what you do is imperative. For the Oueja’s, positively contributing to their community is just as important as feeding them well. Incorporating local food sources is also important to Ouejas. 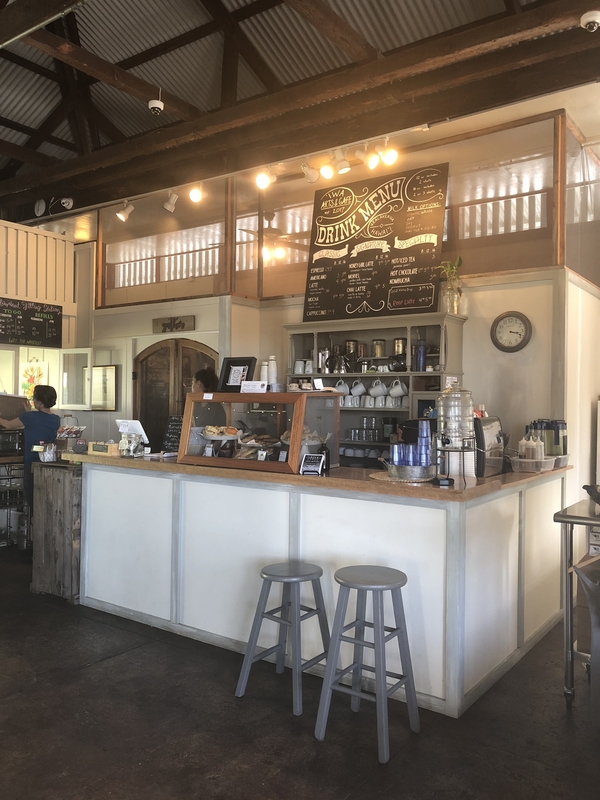 Their sandwiches are made with local cheeses, local produce and locally made bread—everything the Big Island has to offer. 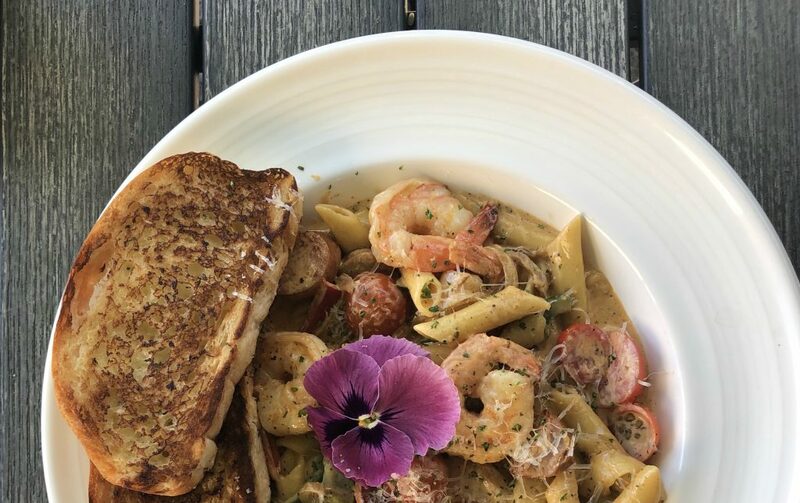 The Red Truck menu has a flavor for every palate. 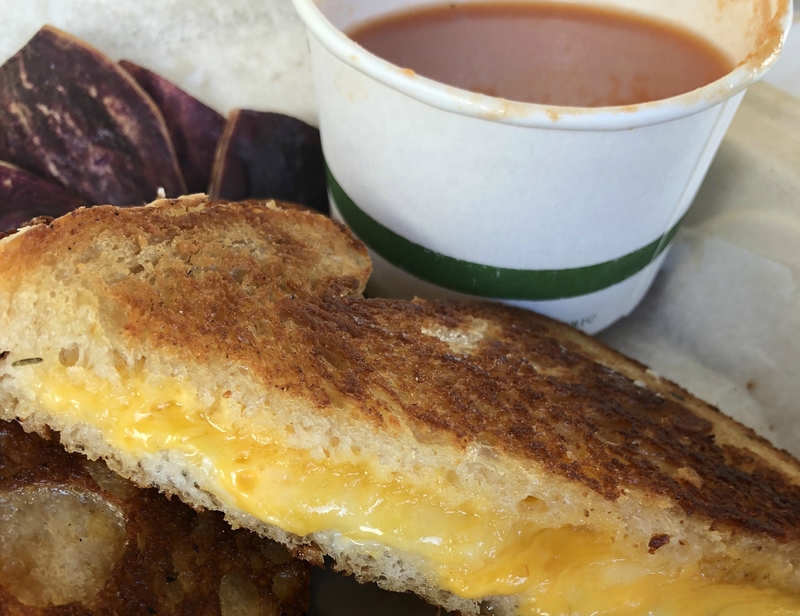 For the kids, the Cheesy Melt is a classic sandwich with American, Swiss, cheddar and gruyere cheeses, served with a side of tomato bisque. 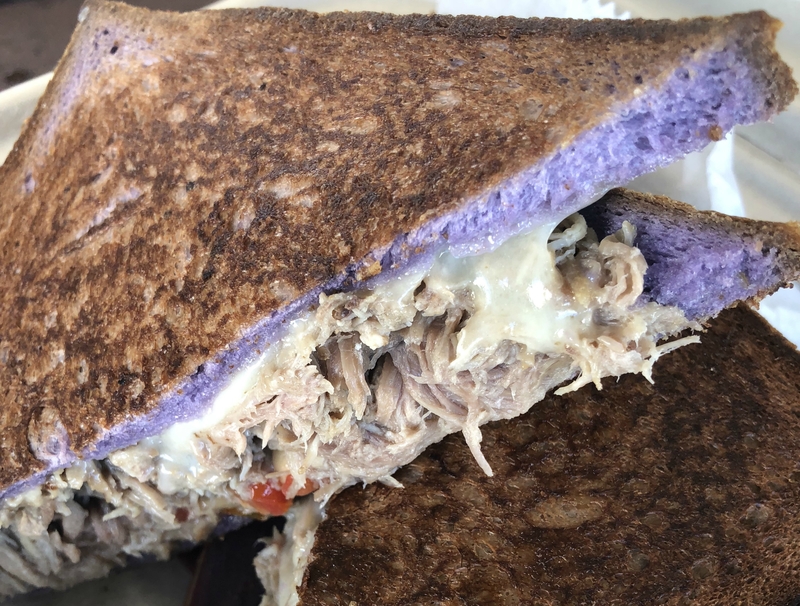 The Purple Pig puts a Hawaiian twist on the grilled cheese with kalua pork, smoked gouda, lomi tomato and sweet onion, served on taro bread. For spicy food lovers, the Sizzling Serrano is a huge hit. 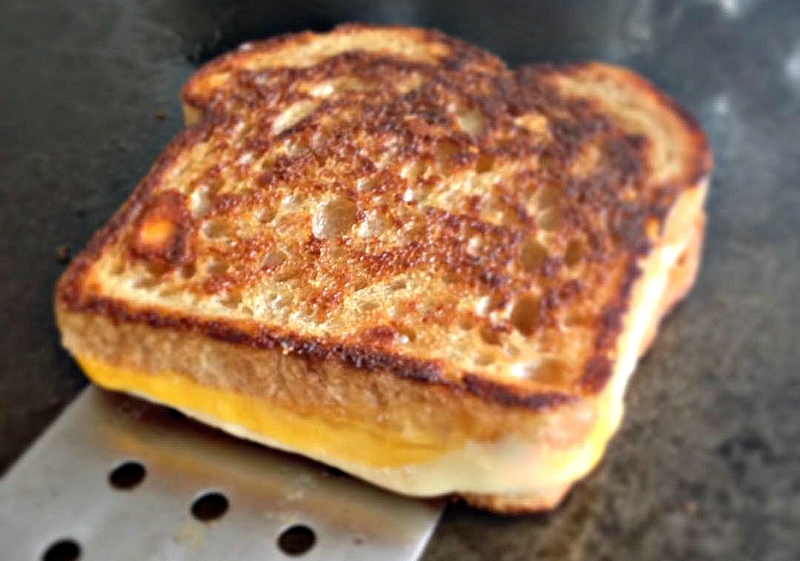 It’s made with bacon jam, boursin and jack cheeses and roasted serrano and Anaheim chilies. 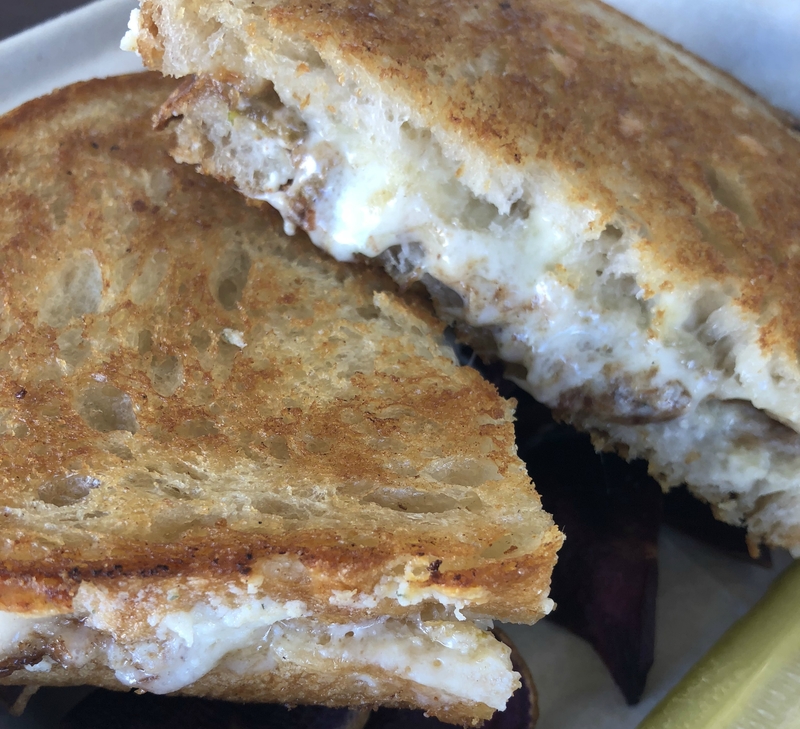 Other delicious options are the Frenchman made with Hamakua and cremini mushrooms, gruyere, beefy caramelized onions and truffle oil, and The Rueben, made with thinly sliced pastrami, raw local sauerkraut, house thousand island and Swiss cheese. The Ouejas put their hearts and souls into everything they create. 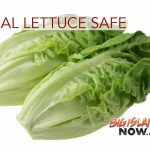 You can find them at the Pukalani Stables Farmer’s Market in Waimea every Wednesday from 9 a.m. to 3 p.m., and every Saturday from 7:30 a.m. to 1 p.m. 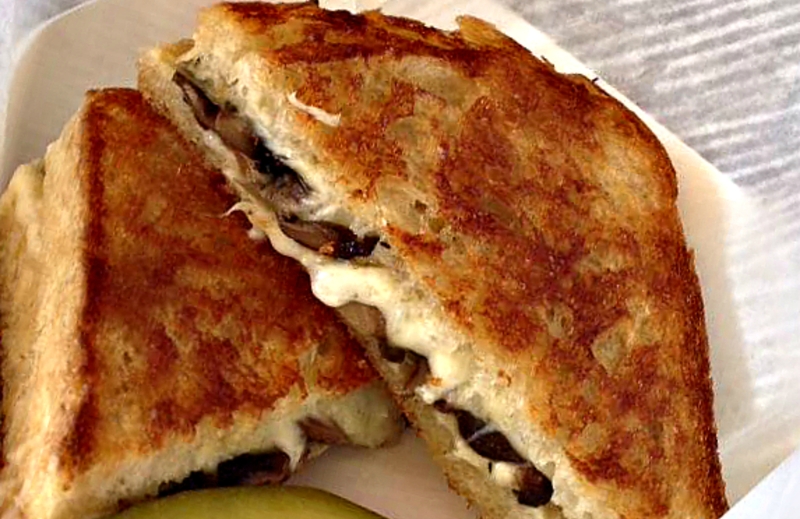 The Frenchman at Red Barn Food Truck. PC: Karen Rose. 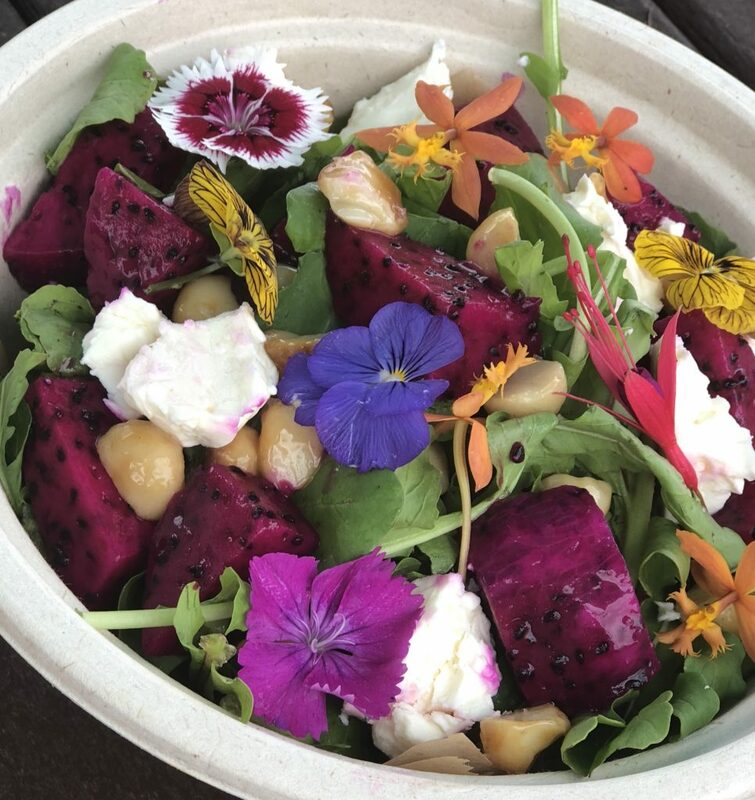 The Purple Pig at Red Barn Food Truck. PC: Karen Rose. 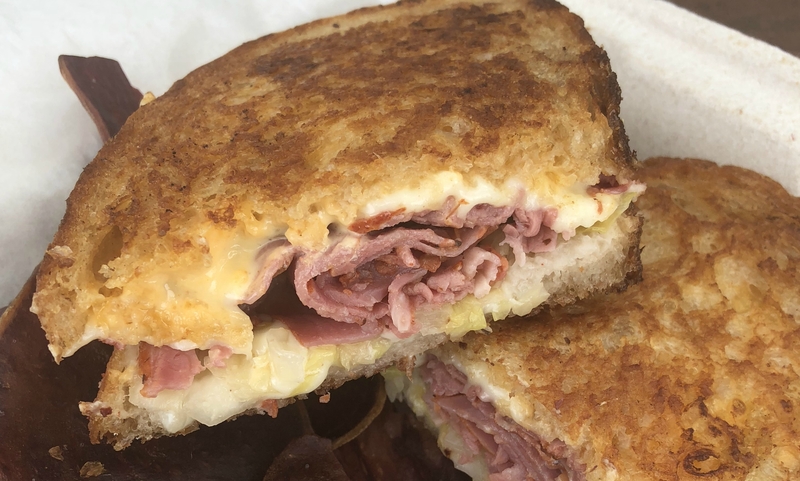 The Reuben at Red Barn Food Truck. PC: Karen Rose. The Sizzling Serrano at Red Barn Food Truck. PC: Karen Rose. Will and April Oueja at Red Barn Food Truck. PC: Karen Rose.